A dash of Spanish spice has been added to the melting pot of Bali’s nightlife scene. 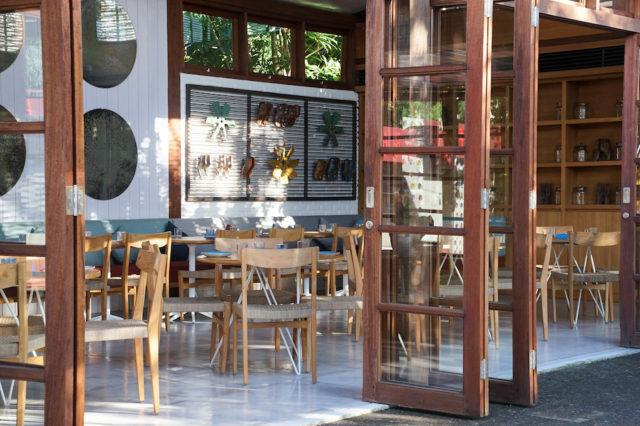 Chachara (meaning chit-chat in Spanish) combines modern Spanish delights, delicious drinks and quirky design to create a venue that is the perfect fusion of Mediterranean and Balinese style. 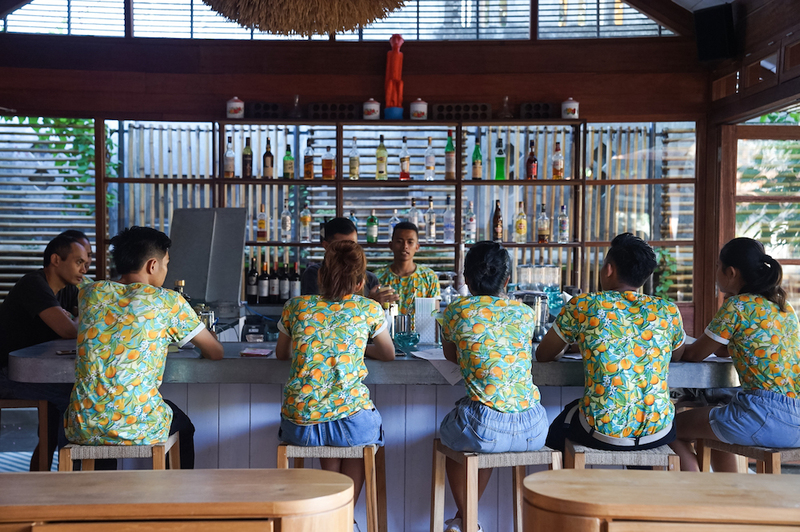 Tucked away down a bamboo sheltered alleyway off busy Jalan Batu Belig, this bar and restaurant has a range of spaces offering respite from the craziness of day-to-day Balinese life. Take a seat on the breezy, bright terrace or find a spot in the open-plan, European style courtyard. Sip a drink at the funky, vibrant orange kombi-van turned bar or reserve a table in the sleek private dining room. Barcelona-based designers MTMDESIGN have created a sense of harmony between these diverse spaces through the use of natural wood and lush greenery throughout. 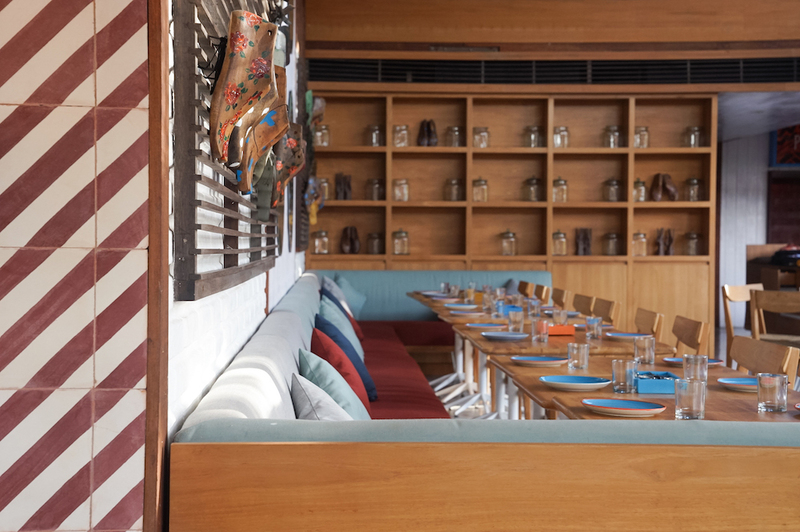 The bar and restaurant teams have created menus that compliment this eclectic vibe. Drinks including local and imported wines, assorted aperitivo, Spanish ‘jarras’ and bespoke and classic cocktails are served alongside modern Spanish dishes, such as pollo al a griglia (grilled chicken with spices), croquetas de la yaya (roast meat croquettes), embutidos variados (assorted cold cuts), sardinas agridulces con papaya (sardine tapas) and a house paella. The music too reflects the diverse nature of Chachara, with a mixture of disco, techno and world music on rotation. There are also regular DJ sets and special events on weekends. No stranger to the Asian bar and restaurant scene, this is Chef Willy’s (aka Guillermo Trullàs Moreno’s) first opening on the Balinese scene. His food and beverage group ‘El Willy’ Fun F&B Group runs a range of successful Spanish-themed venues in Shanghai, Hong Kong, the Philippines and Vietnam. Next articleThe Perfect Blend NSW State Winners Announced!